My web page – www.strongheart.com.au – and what the heck does that mean? On my About page I said that one of my interests was dogs. I’ve never gone more than a year or so without a dog, and for the past ten or so years I have worked part-time as a professional dog trainer. I am a life member of the National Dog Trainers Federation (hopefully they will fix their web page but and update their Facebook page which once was pretty good) and an associate member of the APDT Australia and APDT America. But Trimble obviously saw something in this dog. So he brought him back to America and began working with him. Strongheart, as he became, starred in several films and was eventually paired with a mate, Lady Jule, who even appeared on film with him. 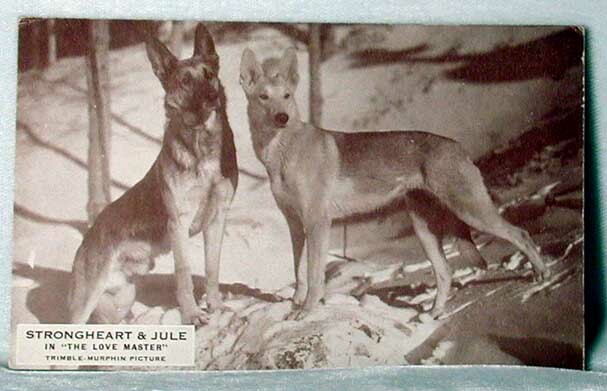 The pair sired several pups, some of which also starred on the big screen. 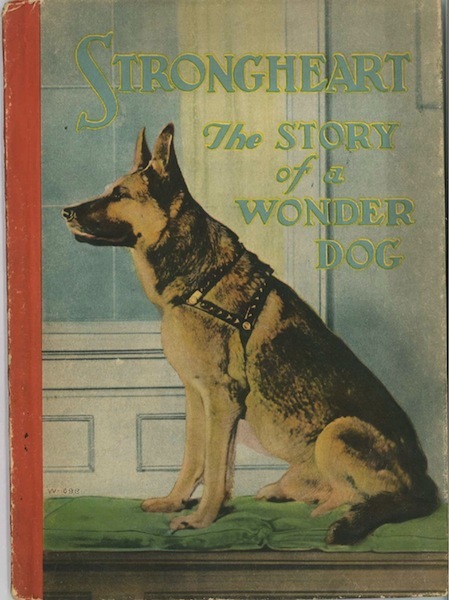 Strongheart was the first “police dog” in the movies. Stronheart’s films include The Silent Call (1921), Brawn of the North (1922), The Love Master (1924), White Fang (1925), North Star (1925) and The Return of Boston Blackie (1927). Strongheart died at the age of 13 on June 24, 1929, after developing a tumour from falling against a hot studio light while acting out a fight scene during the filming of The Return of Boston Blockie. (Chadwick 1927). … and that is why Strongheart. There was no intention on my part to make Strongheart a great actor in his first screen production. I wanted to prepare him for playing a natural role. Hal G. Everts had written a story which he called “The Cross Pull” and Miss Murfin had made a splendid adaption of it for the screen, and the dog in it had to be just dog. 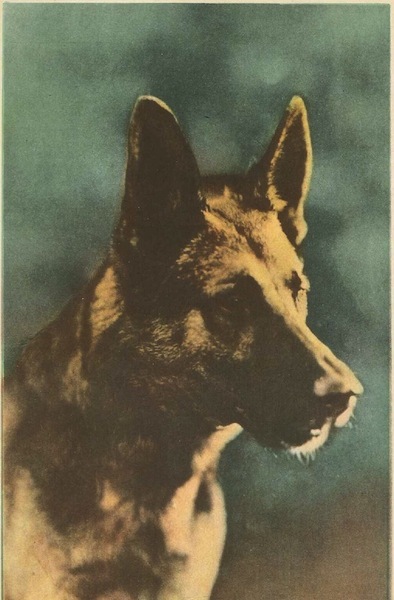 It had to be a good dog actor, and when Strongheart had gotten to the point of being good, his first production “The Silent Call” was started. 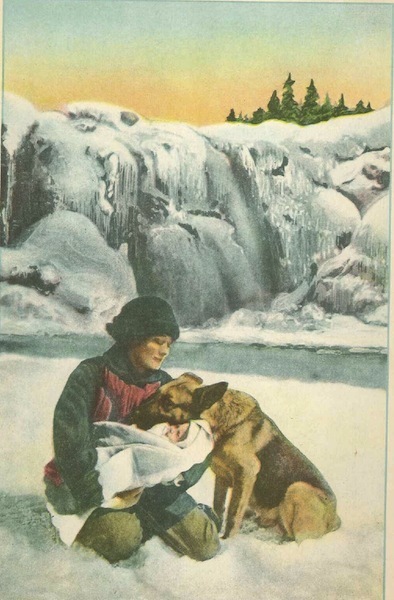 To have seen “White Fang,” which is his fourth production, will be to understand why it was not his third picture when I say that the dog fight could not have been staged if Strongheart had not had the experience of “The Love Master.” No real dog will take a licking from another dog until he is physically incapable of making another struggle. In “White Fang” Strongheart had to take a licking from a bull dog. Deep in his heart Strongheart believes that he can whip any dog that ever walked on four legs or less. Before “The Love Master” it had not even been considered possible for him to take a whipping from a bull dog such as Jack London had called upon his hero to take in “White Fang.” The production would have been a great one with the fight omitted, but the public by means of letters, clearly showed that they would not be satisfied with any evasion on Strongheart’s part in future productions. “The Love Master” gave him the opportunity of getting acquainted with a great many different animals, and when it was finished he had reached the point where he could restrain himself so that he could take a licking from a bull dog. Then “White Fang” was made and I believe this picture marks the reaching by Strongheart of the pinnacle of acting ability. 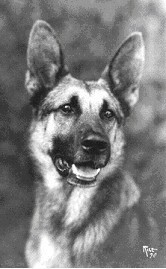 I raise, train & breed german Shepherds that are directly bred down from Strongheart ( Etzel Von Oeringen).My dog’s can be seen on my web site. I have had the pleasure of talking with Mr. Dave Trimble (Lawrence’s Nephew)about his uncle and Strongheart & his pup’s. 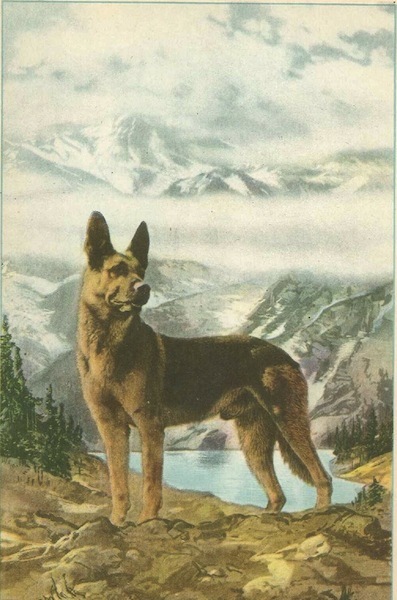 It was a joy to hear the story’s about Strongheart & his pup’s and to talk about my dog’s pedigree’s & how they trace directly back to Strongheart.